New Delhi: From planting crops to finding a market for their produce, farmers in India face an array of risks and mitigating these can raise incomes and profitability in agriculture, said the second volume of the Economic Survey 2016-17 released on Friday. Listing major risks relating to production, weather, crop prices, credit and policy decisions, the Survey said that to manage and reduce risks there is a need to categorize and address them. A “Taxonomy of risks” in agriculture in the Survey detailed the risk factors and suggested ways to address them. The Survey’s focus on risks comes against the backdrop of protests by farmers since June, demanding loan waivers and remunerative prices. Farmers across several states have been protesting as a record harvest in 2016-17 (following consecutive drought years) did not translate into higher incomes due to a sharp fall in crop prices. Price risks arise due to lower-than-remunerative prices, absence of marketing infrastructure and excessive profiteering by middlemen, the Survey said. To address market risks due to demand-supply dynamics in both domestic and international markets, the Survey suggested allowing contract farming and the direct purchase of produce from farmers. Flagging risks relating to policy decisions and regulations, the Survey said that decisions such as trade policy and stock limits on traders should be announced before planting of crops and stay till the harvested crop is sold by farmers. “It is heartening to see the economic survey recognizing policy stability as critical… for instance, farmers need a clear idea of import and export policies when they take planting decisions,” said Ashok Gulati, agriculture chair professor at Delhi-based Indian Council for Research on International Economic Relations. Price risks are severe as markets are inefficient and farmers have “very low resilience owing to the perishable nature of produce, inability to hold produce, hedge in surplus or shortage scenarios or to insure against losses”, the Survey said. 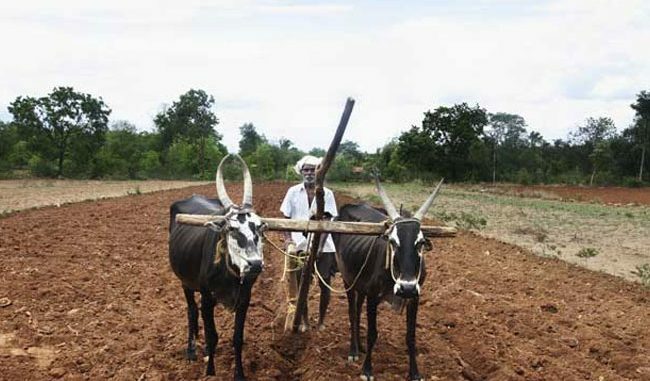 Farmers need to be educated that planting decisions based on the previous year’s crop prices may not be profitable, the Survey said, adding, “the farmer should adopt a stable pattern of sowing so that in the long run he receives the average price of the produce”. Flagging the risks related to culling of unproductive animals for meat production, the Survey observed that if “social policies” drive down the terminal value of assets (such as an out-of-milk buffalo or cow), livestock rearing will be less profitable for farmers. Noting the growing importance of horticultural crops such as fruits and vegetables, the Survey said the key challenges are managing post-harvest losses and ensuring market access for farmers. The weakness in the horticultural supply chain often leads to cyclical gluts or shortages, the Survey said.